A major version upgrade requires a license upgrade. See the Product Version Mismatch section of the License Management article for more information. Review the System Requirements before upgrading. The latest version may require a newer version of Microsoft .NET, which could require restarts during the upgrade process. All SentryOne components, including the SentryOne database, monitoring service(s), and client(s) must be on the same build to work. Log into the Customer Portal. Select the Downloads section, and then download the appropriate installation file. Close all connections to the SentryOne database. Note: This includes client(s) and monitoring service(s). Back up your existing SentryOne database. Run the new version's installation file on the main SentryOne server (the server housing the SentryOne monitoring service). This upgrades the SentryOne database, local monitoring service, and local client. For more information about installing SentryOne, see the Installation topic. Run the new version's installation file on all other servers running additional monitoring services. Once the monitoring service has been upgraded, it can be started and begin monitoring. Run the new version's installation file on any computer with the client installed. 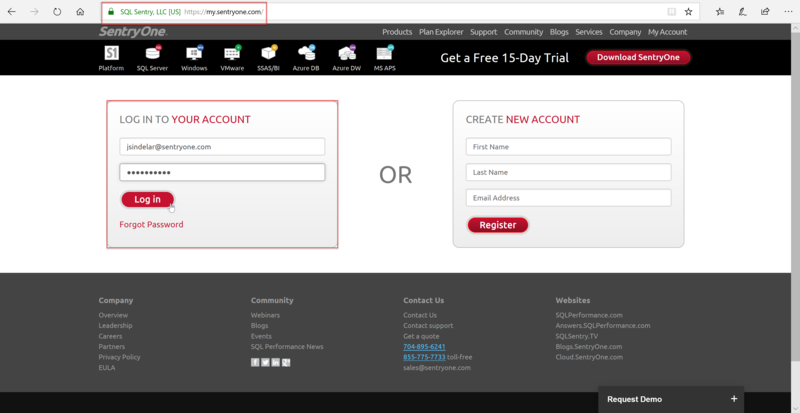 Success: You have successfully installed the newest version of SentryOne for your environment! 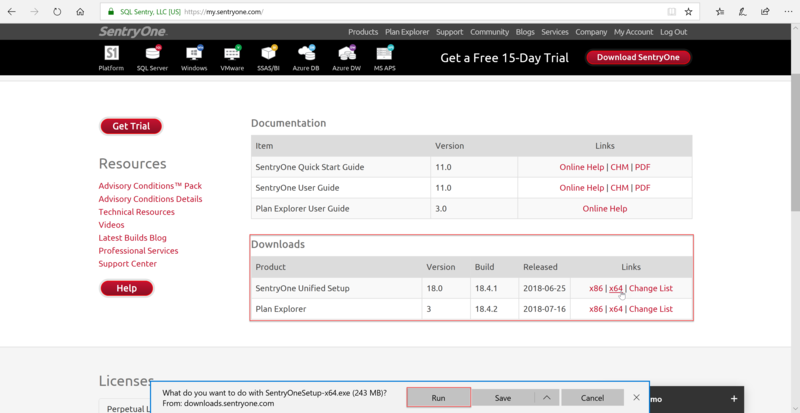 Stay up to date with the latest versions of SentryOne software. The SentryOne Client notifies you when a software update is available with a message on the status bar. Note: The client must have internet access for the version check to work.